Click here for the Hot 2 specs, full review and where to buy! For your data hungry Android devices, this is a summary of the best and cheapest data plan suitable for each network. The difference between this plan and the previous Night Plan is that you do not have to wait till the 1.5 GB day usage is exhausted before using the 3 GB night usage. It uses both and automatically switches depending on the time of usage. Note: before loading your account, dial *437*1# first, if you are eligible, you will be given an “insufficient credit” message. They are blazing fast, and they have recently introduced very affordable and competitive plans for their subscribers. 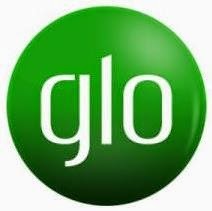 They also have affordable Data Sharing through Resellers like MTN..
You need to subscribe to Glo Overload package to enable you enjoy the data promo. Dial *200# to opt in to Glo Overload. Hi. Please here's my mobile number. Help make it eligible for airtel 1+1 offer. Thanks anticipation. 08122601078. All the plans here works on modem as well without any tweaks . Hi sir, Please here's my mobile number 07010565858. Help make it eligible for airtel 1+1 offer. Sir it's say: dear customer, you do not qualify for this plan" should I proceed and recharge? Do make me eligible for the Airtel Android 1+1 offer. Send the code again at 6pm 15/06 (today) and confirm before you load the credit. It now says "you do not have sufficient balance for this plan"
Hi, I'm a data reseller. You can contact me for cheap data bundles OTS NETWORKS 07037357359 call/whatsapp. Thanks. ok, see what we will do. I will work on your number and the 150 numer below at the same time , if that number gets eligible and you dont, then you know that you case is beyond the Parish, the Diocese will have to look into it. Tomoro 21/07 evening, you check n confirm. Hi sir, Please here's my mobile number 07013137150. Help make it eligible for airtel 1+1 offer. Pls do airtel stil zap mb like before??? Airtel 1 1 offer no longer exist for 60 days but 30 days. Hi sir, Please here's my mobile number 08026745197. Help make it eligible for airtel 1+1 offer. 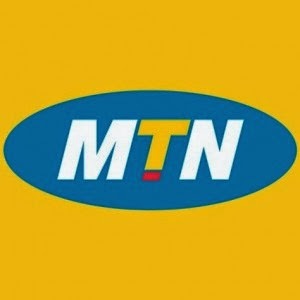 MTN 1gb #700, 2gb #1300, 5gb #3,300. Etisalat, Glo and airtel also available. Call /whatsapp 07037357359 to subscribe. Our services are prompt and reliable.